Planting to prevent destruction; it is more than just dune grass. The northeast corner of Bradley Beach, NJ near the tip of Fletcher Lake and the border of Ocean Grove, NJ was just a hard-packed gravel lot where the Boro kept their lifeguard stands and beach lockers in the off season. Once Sandy’s storm surge over-topped our dunes and bulk-headed boardwalk this area served as a ramp to quickly bring the water and sand into the town and the lake. Not ideal. But Captain Al Modjeski had another vision for the site, he wanted to plant a Maritime Forest, which is what probably existed naturally before the area was developed. 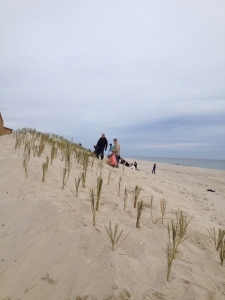 The site was dug up, planted with native plants which will allow storm-water to infiltrate, it will provide protection from storm surge and beautify the area. 3 minute video here. 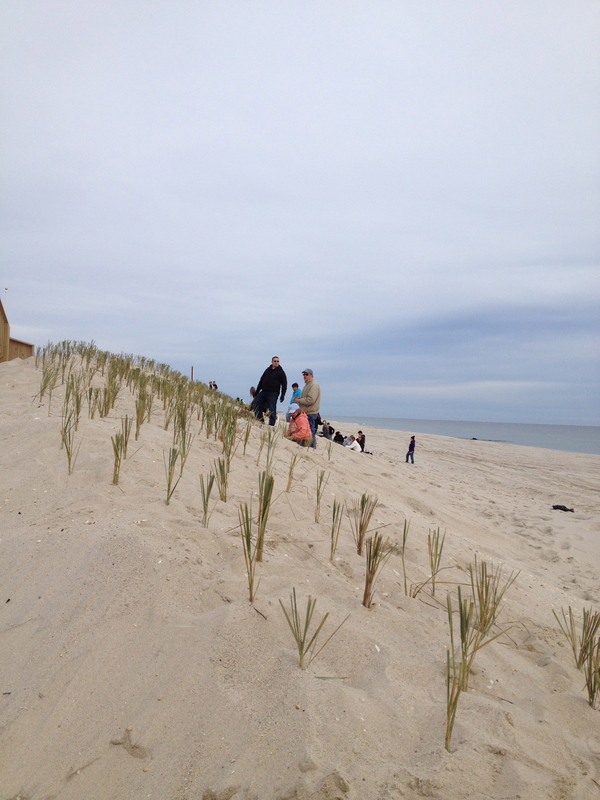 Another weekend, another dune grass planting. 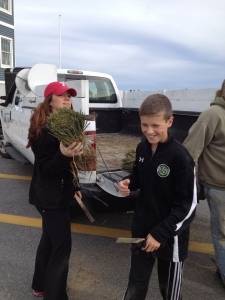 A few thousand more dune grass plants are now in the dunes in Lavallette, NJ thanks to volunteers, the town of Lavallette, NJ and the Jersey Shore Chapter of Surfrider Foundation who purchased some of the grass. Dune grass holds the sand in place. Fully vegetated dunes keep windblown sand from getting passed, and they are much better at resisting wave attach in storms. Did Engineering or ecology protect us better? Ledger Live for Feb. 1, 2013 – Ledger Live with Brian Donohue. 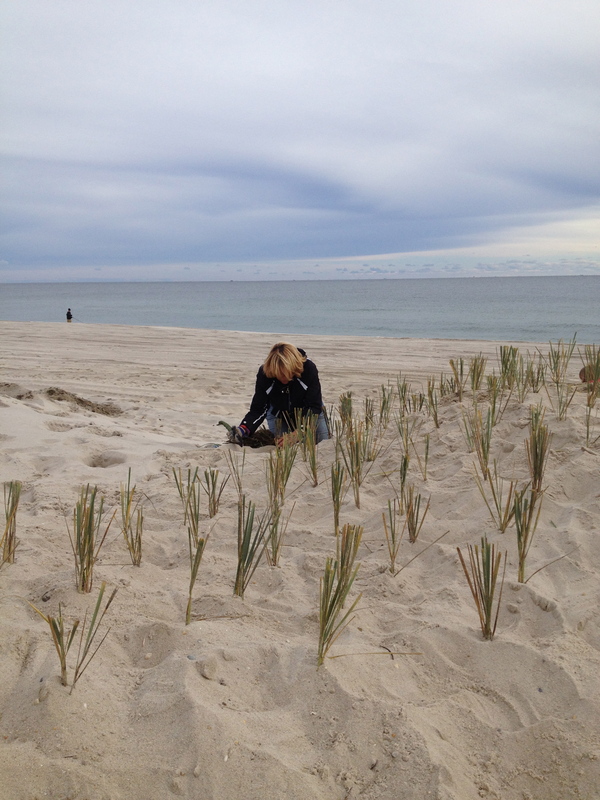 On today’s Ledger Live, Donohue compares the highly engineered beaches of Sea Bright, New Jersey with the wind-formed dunes of Midway Beach in the South Seaside Park section of Berkeley Township. 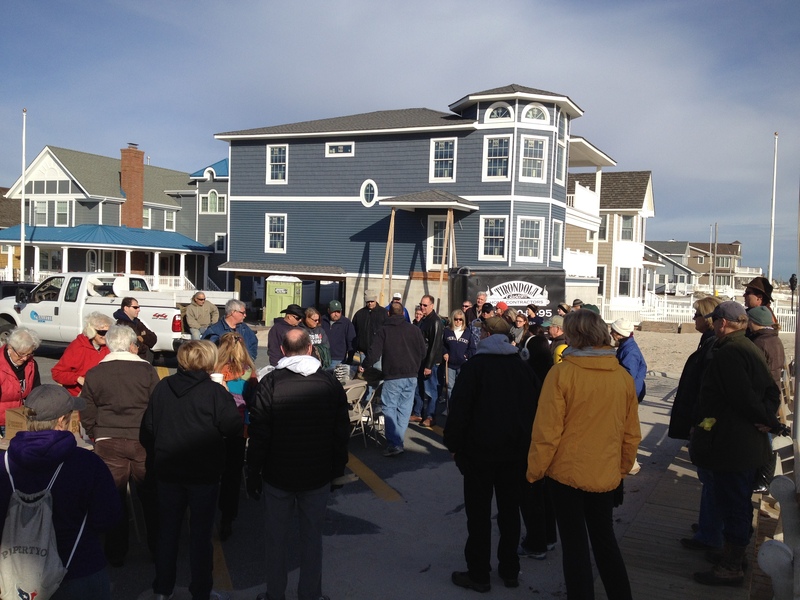 While Sea Bright was devastated by Hurricane Sandy, Midway was unscathed. Donohue asserts that outcome runs counter to New Jersey Gov. 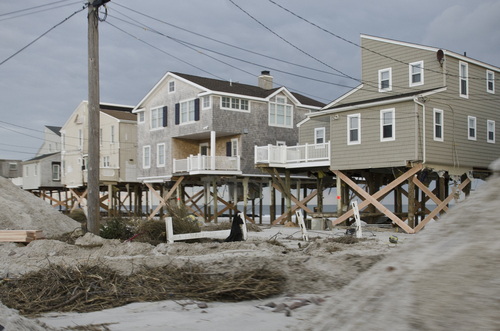 Chris Christie’s assertion that towns with “engineered beaches” fared better in the storm. View Dunes vs Replenishment video here. We are big fans of dunes here, preferably the natural ones, and well vegetated. 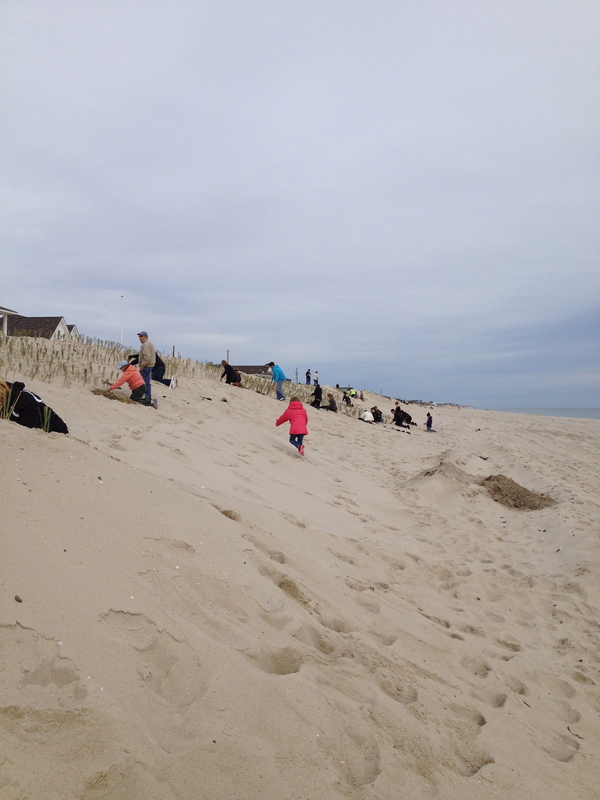 But even the Army Corps dunes built during beachfills and replenishment provide some measure of protection. 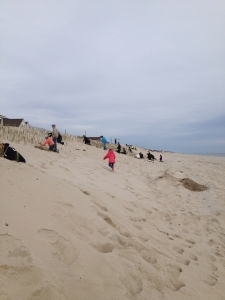 The problem is not all Army Corps beachfill projects include dunes. This Op-Ed from the Asbury Park Press Dec 11, 2012 asks why. So should you. 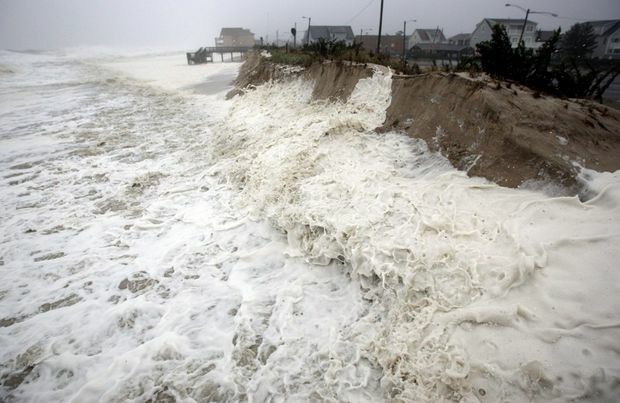 Reporters and politicians, or we should say reporters following politicians, love to run out on to the beach after major storms and declare the beaches are eroding and therefore need replenishing. 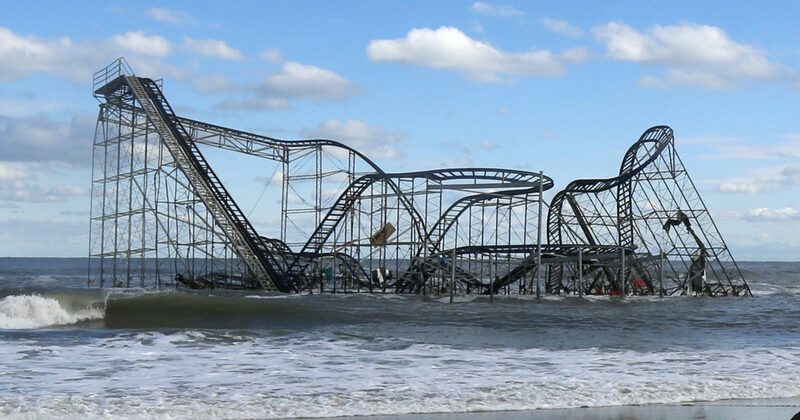 It happens every time and Hurricane Sandy was no exception. This Associated Press article by Wayne Parry from November 20, 2012 proves the point and was widely distributed. Any beachgoer knows that in another few months, all that sand will be back. It comes and goes. It gets pulled offshore into sandbars in winter and during storms, and it is pushed back onto beaches during calmer conditions of summer. 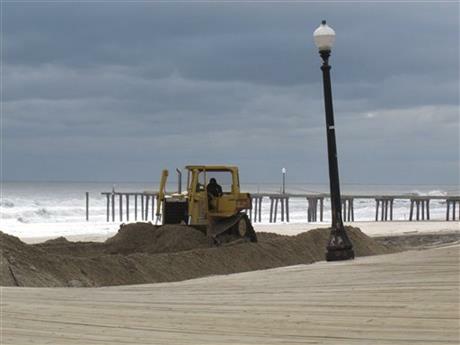 While the steady rise of our oceans is real, the claims of mass erosion after storms are sometimes just the claims of the sand-industrial complex. 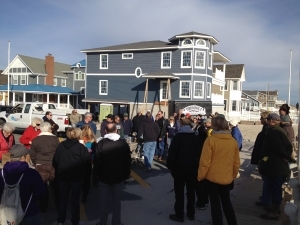 But this article had an especially offensive claim that anywhere a federal beachfill project was in place there was considerably less damage. That claim, by Stockton College’s Stewart Farrell, was patently false, especially in Monmouth County NJ and it gave rise to this response. New England Cable News served these 10 mins. 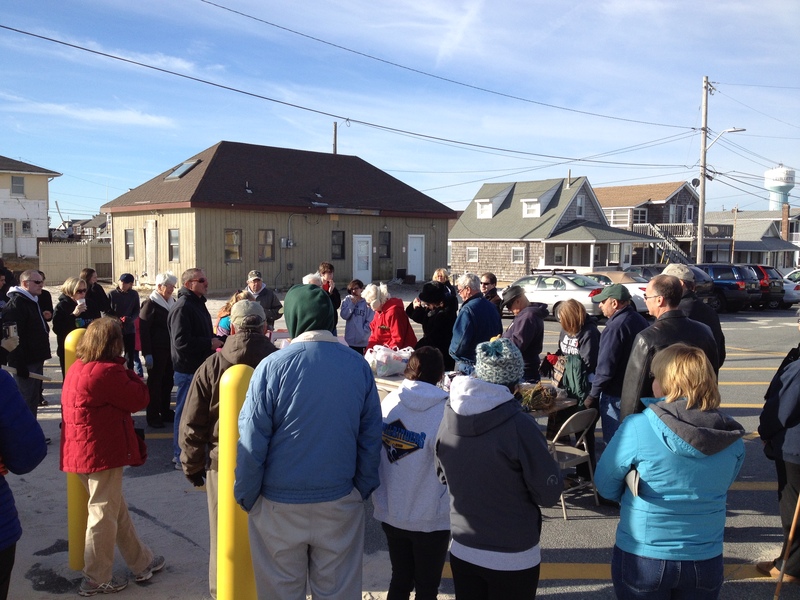 of silent aerial footage showing the devastation wrought by Sandy to Long Beach Island. 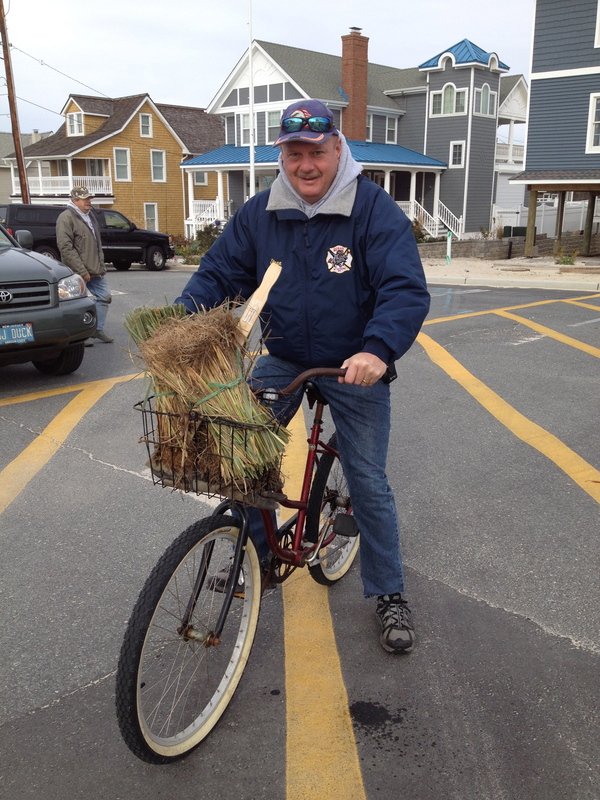 This starts at Taylor Ave in Beach Haven, pans south to downtown Beach Haven and then further south to Holgate. Clearly there was overwash on the beachfront earlier, but now the first two blocks are high and dry. Yet the Bay extends inward 3 blocks in places. 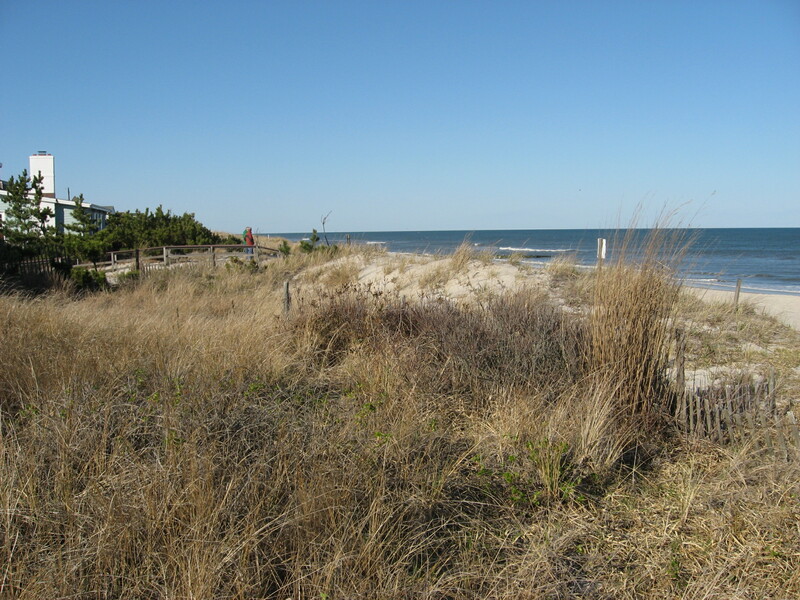 This shows the oceanfront is the highest part of the island, and strong, natural dunes will add protection, but dunes and beach replenishment won’t stop bayside flooding. View video here.